Unite 4 Humanity is committed to being open, honest and accountable. It encourages a free and open culture in its dealings between the Trustees and those working in Unite 4 Humanity, both employees and volunteers. This policy aims to help the Trustees and employees/volunteers to raise any serious concerns they may have about colleagues or their employer with confidence and without having to worry about being victimised, discriminated against or disadvantaged in any way as a result. It is written in the context of the Public Interest Disclosure Act 1998 which protects employees who ‘blow the whistle’ on malpractices within their organisation. or concealment of the above. It is not necessary for individuals who raise the concern to prove the wrongdoing that is alleged to have occurred or is likely to occur. However if an individual knowingly or maliciously makes an untrue allegation (eg: in order to cause disruption with Unite 4 Humanity), Unite 4 Humanity will take appropriate disciplinary action against them. It may constitute gross misconduct. Individuals should note that they will not be protected from the consequences of making a disclosure if, by doing so, they commit a criminal offence. This policy does not deal with any complaints staff may have about their employment. This should be dealt with through Unite 4 Humanity’s Grievance Procedure. Unite 4 Humanity’s Bullying and Harassment policy offers protection to workers against harassment, bullying and discrimination. Volunteers should make complaints or raise concerns through the Volunteer Complaints Procedure. Service users should make complaints or raise concerns through the Service Users Complaints Procedure. The officer designated to handle whistleblowing concerns is Xxxxxxxx and shall be known as the Whistleblowing Officer. Individuals should in most cases, first report their concern to their line manager, who is expected to respond to that matter. If the relevant manager cannot deal with the matter, he or she will refer the concern to the Whistleblowing Officer. Dependent on the seriousness and sensitivity of the matter, and who is suspected of the wrongdoing, the individual can, if necessary report directly to the Whistleblowing Officer. If the matter concerns the Whistleblowing Officer, it should be raised with the Trustees. Individuals are encouraged to raise their concerns in writing where possible, setting out the background and history of their concerns (giving names, dates and places where possible) and indicating the reasons for their concerns. Employees may wish to seek the assistance of their trade union representative before raising the concern. The trade union representative may, where the employee so desires, raise the concern on behalf of the employee. Employees may also invite a trade union representative or colleague to be present during any meetings or interviews about the concerns they have raised. Public Concern at Work will be able to advise on how and with whom to raise a concern about malpractice. Disclosures made to a legal advisor in the course of obtaining legal advice will be protected under the Public Interest Disclosure Act. If the individual reasonably believes that the matter relates wholly or mainly to the conduct of a person or body other than Unite 4 Humanity or any other matter for which a person or body other than Unite 4 Humanity has legal responsibility, the disclosure should be made to that other person or body. If an individual raises a concern which they believe to be true, Unite 4 Humanity will take appropriate action to protect the individual from any harassment, victimisation or bullying. Employees who raise a genuine concern under this policy will not be at risk of losing their job, nor will it influence any unrelated disciplinary action or redundancy procedures. The matter will be treated confidentially if the individual requests it and their name or position will be not be revealed without their permission unless Unite 4 Humanity has to do so by law. If in other circumstances the concern cannot be resolved without revealing the individual’s identity, the Whistleblowing Officer will discuss with the individual whether and how to proceed. whether an investigation can be carried out based on the information provided. How the concern will be dealt with, will depend on what it involves. It is likely that further enquiries and/or investigation will be necessary. The concern may be investigated by Unite 4 Humanity’s Whistleblowing Officer, the Trustees, through the disciplinary process or it may be referred to the police, other agencies such as Social Services, an external auditor or an independent investigator. It may be necessary for the individual to give evidence in criminal or disciplinary proceedings. 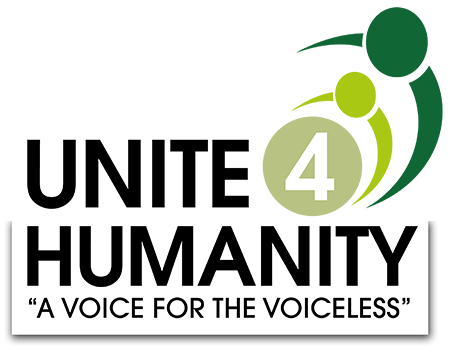 Unite 4 Humanity will give the individual feedback on the progress and outcome of any investigation wherever possible. If the suspicions are not confirmed by an investigation, the matter will be closed. Staff will not be treated or regarded any differently for raising the concern, and their confidentiality will continue to be protected. Whistleblowing, or public interest disclosure, is when a worker reports a concern about the improper actions or omissions of their colleagues or their employer which may cause harm to others or to the organisation. Obvious examples of such improper actions include theft, fraud, abuse, breaches of health & safety. The disclosure should be made ‘in good faith’. In other words the disclosure must be made out of real concern about wrongdoing. Knowingly and maliciously making false accusations for ulterior motives is not whistleblowing. The whistleblower should reasonably believe the information and allegation is substantially true, even if the information later turns out to have been incorrect. Whistleblowing is not the same as making a complaint or raising a grievance, where the individual is saying that they have personally been poorly treated. A whistleblower is usually not directly or personally affected by the concern and therefore rarely has a direct personal interest in the outcome of any investigation into their concerns. faulty machinery that puts the safety of employees or users of Unite 4 Humanity at risk. For effective risk management, employees need to be confident that they can raise matters of concern without suffering any detriment. Not dealing with problems early could have a devastating effect on organisations with costly fines, compensation, higher insurance premiums, damaged reputation, regulatory investigation, lost jobs, and even lost lives. Whistleblowing can be an early warning system for employers and an effective policy can provide a clear framework for action for employees and employers alike. A whistleblowing policy will improve the trust and confidence among workers by creating what one respondent called a “culture of honesty and openness” by encouraging workers to report internally. This was seen as “good for the morale of workers”, giving them confidence to come forward with concerns. Senior managers will be the first to know of any issues that they may need to address. These can be dealt with internally. This also means that the costs of investigating any problems, such as fraud, are reduced as problems can be caught quickly. If workers voice concerns within the organisation rather than being forced to go to an external body, employers can often tackle a problem before it becomes a crisis, thus helping to avoid potentially damaging media coverage, regulatory sanctions and/or costly compensation payments. A whistleblowing policy can provide a clear framework for constructive problem solving in a reasonable, appropriate and controllable way. Employees should not be expected to prove their case should they have a concern about malpractice. Therefore, an organisation’s policy on – and response to – whistleblowing should be different from its policy on and response to a grievance. Under no circumstances try to suppress evidence of malpractice. The Public Interest Disclosure Act came into force in July 1999. It protects most workers against unfair dismissal or being subjected to any other detriment by their employer (such as denial of promotion, pay rise or training) for making disclosures about wrongdoing. It covers all employees, trainees, agency staff, contractors and homeworkers, regardless of length of service or age. However the genuinely self-employed and volunteers are not covered by the Act. Case law has shown that the second reason for a qualifying disclosure, a failure to comply with any legal obligation can be interpreted broadly. For example this includes breach of a contract of employment, but for the disclosure to be protected there must be a real legal obligation not just a belief that there is one. Once a disclosure has been made in good faith to a manager or employer it will be protected under the Act. This should normally be the first route for workers, rather than having to disclose the concern externally. However it does mean that the matter should be dealt with by employers, quickly and thoroughly. The disclosure is also protected if it is made to a legal advisor in order to obtain legal advice. The Act also helps ensure that organisations respond without trying to cover up, or to victimise or dismiss the whistleblower. If the whistleblower fears they may be victimised, or that a cover-up is likely or there is no appropriate prescribed regulator, or if the matter has already been raised internally or with a prescribed body, wider disclosures can be made and still be protected. Wider disclosures might be to another professional body, the police, an MP, the media, etc. They should still be reasonable in all circumstances taking into account the seriousness of the matter and likelihood of re-occurrence. Reasonableness would also include consideration of whether the worker first followed any internal whistleblowing procedure the organisation may have. However if the wrongdoing is of an ‘exceptionally serious nature’, (such as involving a murder enquiry) the whistleblower need not fear victimisation or cover up to make a protected disclosure to an external body, although it should still be reasonable particularly with regard to whom the disclosure is made. If the whistleblower is victimised for making the disclosure, they can bring a claim to an employment tribunal for compensation. Dismissals of employees for making a protected disclosure are automatically unfair. Compensation awards will be uncapped and based on the losses suffered. Any clauses in an agreement between a worker and the employer which prevent the worker from making disclosures protected under the Act will be void. Information on whistleblowing can be accessed through the government websites. The government website which has advice, guidance and tools for businesses, has a section on whistleblowing and dismissal.